The Swingtop and Crowntop bottles will retain the same shape, but have new refreshed labels that showcase the new brand block and include a quality sign-off of Peter Cuyper, the original brewmaster. The 500ml can is seeing a major upgrade with embossed logos and side stripes similar to the famous Swingtop and Crowntop bottles. Overall these changes will provide greater shelf standout, consistency and premium cues that will result in positive consumer impact. New packaging is expected to be in market in the April to June timeframe depending on stock levels. "to create a consistent and eye-catching packaging range with the focus on unity, communicating brand values and increased standout value”. As part of the change, the Grolsch can will boast an embossed brand badge and new texture grooves on the side of the can “to gain more grip”. 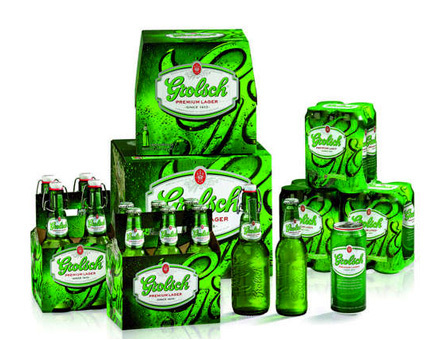 "We want to revitalise Grolsch to increase stand-out on the beer shelf," said Grolsch's global brand director, Ronald van Amerongen.